Chickens at Blandford Nature Center in Grand Rapids are about the only legal chickens in the city limits, but that could change with Tuesday's vote. 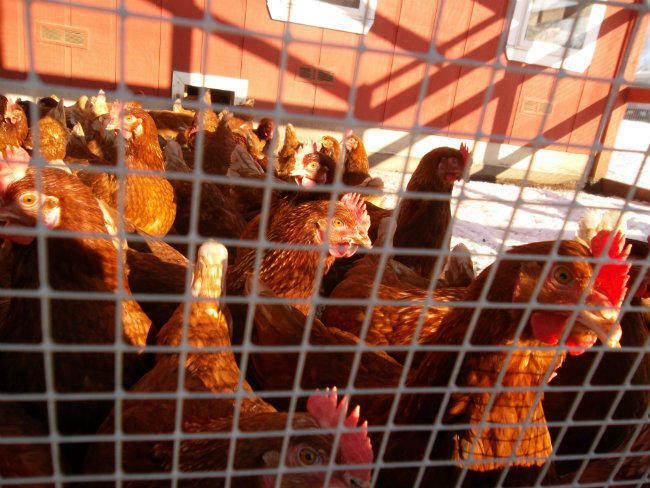 On Tuesday, elected leaders in Grand Rapids could vote to allow people to keep chickens in their backyards. “I’m excited,” Amy Bowditch said of the proposal. “People kind of chuckle ‘oh chickens, everybody wants to turn the city into the country’ and a lot of people think it’s absurd. But we, for myself and my family, we think it’s really important that we stay connected to our food,” she said. Elected leaders rejected a law that would have allowed Grand Rapidians to keep chickens a few years ago. Dozens of people people were doing it anyway. Bowditch kept chickens illegally in Grand Rapids for a couple years. “I knew that if my neighbors were OK with it and no one complained, I could get away with it for a very long time,” she said. She says after city commissioners rejected the proposal, they thought about coming together and flaunting it, sort of as civil disobedience. “In almost like this joking sort of a way. Like ‘yeah they’re illegal, what are you going to do about it?’ It’s not like they were going to throw me in jail,” she said. The new ordinance is seen as a compromise between residents who want to raise chickens, and neighbors’ concerns about noise and smells chickens could pose. The city would approve chickens on a case-by-case basis. 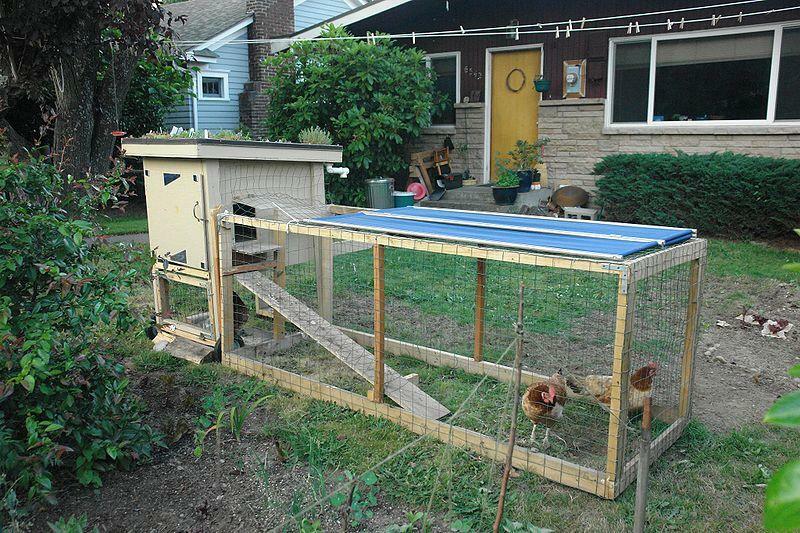 People will need to have a big enough backyard (lots need to be at least 3,800 square feet) and a chicken coop to keep hens. No roosters – period. They can’t be kept on lots with multi-family homes. You can’t slaughter the hens either. If your immediate neighbors object, you’re probably out of luck. If city commissioners adopt the law allowing chickens Tuesday, it would take effect in May. It would automatically expire in two years unless commissioners vote later to make it permanent. The goal is to see what problems come up if chickens are allowed on a trial basis. One of Flint’s leading urban farmers is being told she has to get rid of her chickens. Roxanne Adair operates a commercial urban farm in Flint. She sells the produce from her two-acre farm at the local farmers market and to individual clients. She also keeps eight chickens in her home's backyard. She’s been raising chickens in her backyard for the past few years. Adair says she eats many of the eggs herself and gives others away. She admits she will also sell another dozen or so a week. An interview with Taylor Reid, the founder of beginningfarmers.org and PhD candidate in Community, Food and Agriculture at Michigan State University. Cynthia Canty's good friend Susan and her husband are about to move from a townhouse in an Oakland County suburb to a small cottage on about an acre in another Oakland County town. One of her top priorities is to start keeping chickens in her new backyard. Seems she is not alone. Backyard chicken-raising is on the rise across the state and across the country. 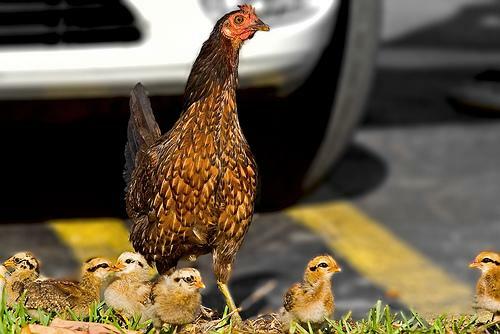 There are now ordinances allowing people to also keep chickens in Ann Arbor, Flint, Detroit, Lansing, Grand Rapids, Traverse City and many other Michigan communities. Taylor Reid is the founder of beginningfarmers.org and he's a PhD candidate in Community, Food and Agriculture at Michigan State University. He joined us today to talk about why urban chicken raising is on the rise and what the concerns are about this practice. Recent changes in the Michigan right-to farm requirements have drawn criticisms from those worried it may curtail their ability to keep bees, chickens, or other farm animals in their backyards. But are these changes as threatening to urban farming as detractors fear? *Listen to the full show above. Many small and urban farms could lose the protection of Michigan's Right to Farm Act. The Act protects farmers against nuisance lawsuits if they follow Michigan's Generally Accepted Agricultural and Management Practices (GAAMPS). The Michigan Department of Agriculture and Rural Development wants to exclude farms with fewer than 50 animals from Right to Farm protection if those farms are in areas zoned exclusively residential.